In the datasheet of a squirrel cage induction motor, rated stall time- 18/30Sec (cold/hot) & Acceleration time- 9/15Sec (100%/80% of rated Volt) are given. In motor protection, it has stall protection, number of start limitation & thermal overload. Since the motor under subject is driving a fan, it takes longer acceleration time & tripping in thermal overload every time during startup. 1. What is the Acceleration time-9/15Sec given in datasheet? Is it the maximum the motor can withstand up to? 2. Since the stalling time rating is 18Sec, can it bypass thermal overload protection during starting after ensuring that the actual acceleration time of motor with load doesn't cross 18Sec? Acceleration time is the time required for the motor to accelerate the stipulated load inertia at the specified voltage (e.g. no additional drop). The reason two times are given (9 sec at 1.0 pu, 15 sec at 0.8 pu volt) is that the high inrush current (at least 6x rated) will cause line voltage to dip (to roughly 0.8 pu). This means the real acceleration torque profile is somewhere between the 0.8 and 1.0 pu values. Safe Stall Times are ALWAYS given with a speed rating. The duration is the maximum allowable time for the motor to reach that speed (or, in the case of 0 speed, to remain without movement). "Cold" times are always longer than "hot" times, due to latent heat in the bar when a previous start has been attempted. The stall times under both these conditions must exceed the run-up - times otherwise stall relay will be actuated. Supplier should be requested to re-calc, these figures for actual operating conditions. If relay was by-passed for check it should be able to determine run-up- time against measured voltage. Relay should set not only for time but also for allowed maximum current (which might also be measured). Unit should not be operated until all characteristics are checked. Failure to do so might result in winding failure and possibly broken rotor bars. You cannot use "average" torques (over the whole speed range) reliably for large inertia loads such as fans. This is because the motor spends far more time in some portions of the speed range; and the "safe stall" condition is always changing. Thermal limit data is used for ONLY two things. First - determining the capability for continuous overloading. (This should not actually be applicable to a fan application, since in theory the fan is designed for "continuous operation at maximum flow at specified speed".) The higher the machine is operated above 1.0 pu loading, the shorter it is allowed to stay there before reducing power consumption below 1.0 pu. Note that the RMS loading should really be taken over a 6 minute "rolling" window: this is because that time period is the effective time constant for the stator winding (e.g. the time it takes for the winding to achieve steady-state temperature). Second - determining the required "dwell" time between successive start attempts. The longer the actual acceleration takes, the more heat is generated in the windings and the longer it takes to dissipate the result. The time necessary to achieve cooling is related to speed; longer dwell required at standstill than at speed. The rated stall time is the time the motor may operate with a locked rotor, whereas the acceleration time would be the time the loaded motor takes to reach its rated speed from startup. Once the calculations have been made and all protection setup, I suggest to start the fan and see how long the motor actually takes to reach rated speed. Use this time to set your stall protection delay. Even though its datasheet allows for 18 seconds stall, continuously starting a motor at 6 or 7 times its rated full load current for this long is never a good thing. If the motor is underrated for the application and takes anything over 8 seconds to get to rated speed, I would rather employ a star-delta or soft starter to start the fan. The starting time of any motor is affected when it is connected to a mechanical load. The mechanical load has inertia (at rest, when initially starting) which needs to be overcome by the torque of the motor. One should NEVER bypass motor protection, especially during a motor start. 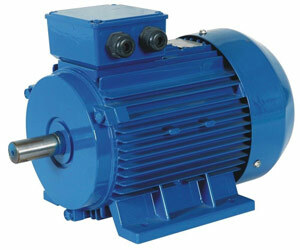 This is when the motor is under the highest stress, both mechanically and electrically. If the protection is removed, it could cause much more damage, to the motor, the electrical feeder, and possibly personnel. NEVER BYPASS PROTECTION! If the motor is unable to move the mechanical load (in your case, the fan) up to full speed in a relatively short time, then it is most likely the motor is not large enough for the requirement, and it should be upsized.